Social Invest Bank Ltd was established on November 22, 1995 with an authorized capital of taka.1000 million and Paid up Capital of Taka 260 Million by a group of rignly successful entrepreneurs from various fields of economic activities. It is a Fully licensed scheduled entrepreneurs from various field of economic activities. It is a fully licensed scheduled commercial Bank set up in the private sector in line With the Government to liberalize Banking& Financial services. The founder Chairman of the Bank was Prof. Dr. M.A Mannan. He is a world wide renowned Islamic Economist. The first managing director was Mr. M. azizul Haq. .Highly professional people having wide experience in domestic and international Banking are managing the Bank. The present Chairman is Mr. Kamal Uddin Ahmed who is the renowned Industrialist of the country. The present managing Director is K.M. Ashaduzzaman has long experience in domestic international Banking. The Bank has made significant process with in a very short time due to its very competent Board of Directors, dynamic management and introduction of various customers’ friendly deposit and loan productize. 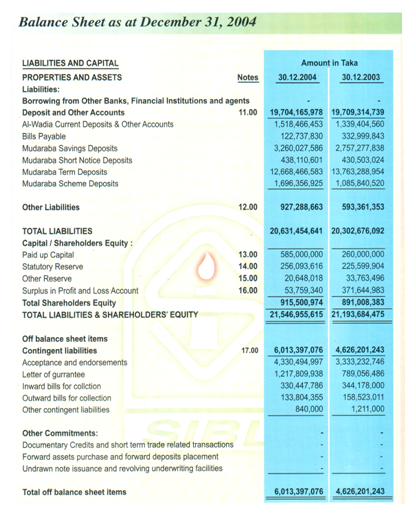 SIBL is operating three-sector Banking such as Formal, Non-formal and Voluntary Sector. SIBL is beginning a new era of Islamic banking having social, ethical and moral dimension in each of its activities ranging from credit to construction, trading transport, forming to fusing, manufacturing to mining and so on. Some renowned personalities and institutions are sponsors and directors of this bank. Islamic ideology encourages us to succeed in life here& hereafter. To achieve this success we must follow the way dictated by the HOLY QURAN and the path shown by Rasul (SM). 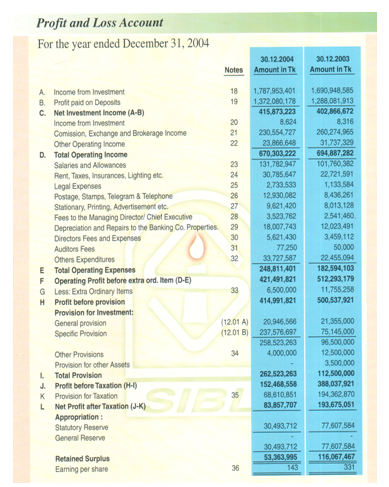 With this goal in view Social Islami Bank Ltd was established (registered) as a public limited company on 18 June 1995. The inaugural ceremony took place on 27 September 1995. 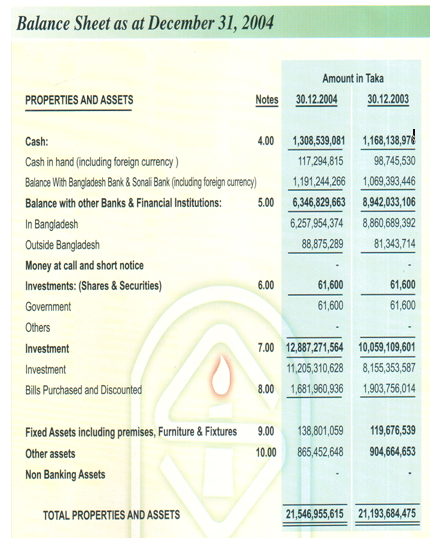 The authorized capital of the Bank is TK.2500.00 million and the paid up capital TK.1153 million. Some very renowned Islamic personalities and pious businessmen of the country are the sponsors of the bank. The total paid up capital was invested locally. The Bank is committed to contribute significantly in the national economy. It has made a positive contribution towards the towards the socio economic development of the country by opening 46 branches on which 16 authorized dealer (AD) throughout the country. The equity of the bank stood at TK.2037 million Crore as on 31 December 2007, the manpower are 1033 and number of shareholders are 12013. The Bank conducts its business on the principles of Musaraka, Bai-muazzal, and hire purchase transactions approved by Bangladesh Bank. Naturally, its modes and operations are substantially different from those of other conventional commercial Bank. There is a Shariah council in the Banks who maintains constant vigilance to ensure that the activates of the bank are being conducted on the precepts of Islam. The Shariah council consists of prominent Ulema, reputed, Bankers, renowned lawyers and eminent Economist. Aspire to be the most admire financial institution in the country, recognized as a dynamic, innovative and client focused company that offers an array of products and services in the search for excellence and to create an impressive economic value. Social Islami Bank Limited stared its journey with the concept of 21st Century Islamic participatory three sector banking model: 1) Formal Sector Commercial banking with lasted techonology.2) Non formal sector family empowerment Micro Credit and Micro enterprise program and 3) Voluntary sector Social capital mobilization through CASH WAQF and other finally. To be the bank of 1st choice by creating exceptional value for their clients, investors and employee alike. 1 The main strategy of the bank is using Islami Banking System to attract its market. 1. All activities of the bank are conducted according to Islamic Shariah where profit is the legal alternative to interest. 2. The banks investment policy follows different modes approved by Islamic Shariah based on Quran & Sunnah. 3. The bank is committed towards establishing welfare oriented banking system, economic upliftment of the low-income group of people, create employment opportunities. 4. The bank is contributing to economic and philanthropic activities side by side. SIBL English Medium Madrasah and SIBL library are among mention worthy. SIBL has already started providing on-line general banking services to the clients from 23 May 2008 through a network of all branches in the country using satellite based Communication links. This bank is a member of the Society for Worldwide Interbank Financial Telecommunications (SWIFT).All of the Authorized Dealer Branches has SWIFT connectivity. The bank will introduce a few more products for the client, such as, SMS banking, Tele-banking, Internet Banking etc in near future. To present the overall picture of the bank to the Depositors, Shareholders, and Investment Clients and Well wishers in home and abroad transparently bank has designed a web site as www.socialislamicbd.com. The Bank has a Foundation launching philanthropic activities Social English Medium Madrasah and Social Islami Bank Library are major two wings for launching philanthropic activities. Social English Medium Madrasah has been established by the Social Bank Foundation with a view to building next generation according to the ideals of peace and equality of Islam and to establishing banking and other aspects of life in the way of Islam. The prime aim of this madrasah is to contribute towards building human resource and in the broader sense to ensure human welfare. With this in view Social Islami Bank Foundation has established an English Medium Madrasah at Dhanmondi in 1999. Such institution up to O level of its kind is for the first time in Bangladesh. Library is the carrier and reservoir of knowledge. Social Islami Bank has shown that other than generating profit, it can also contribute significantly in the field of providing good source of knowledge by establishing a public library at 32, Topkhana Road, Chittagong Bhaban (1st floor), Dhaka, thus strengthening social development. It is placed in sound, healthy surroundings. It harbours 23,000 books of reference for the researchers, students, professionals, bankers, physicians, engineers, politicians, writers or journalists, even for the kids. It is open to all from the year 2000 and well located & accessible to everybody. It procured some exceptional collection of books on Religion, Economics, Banking, Computer Science, Business Administration, Sociology, English & Arabic language and juvenile literature in Bangla, English, and Urdu & Arabic which are very rare. Varieties of good books were procured in the library, but those were predominantly to enrich Islamic knowledge and culture. To fulfill that goal Social Islami Bank distributed a total of 1084 copies of Arabic-BangIa ‘Torjomatul Quran’ to all the upazillas of the country. Education is the harmonious development of body, mind & soul. If religion is not attached to it the real attitude towards life and values will fail to develop. It is mandatory to learn Elm-e-Din to govern our life in the right way of Islam. To fulfill this noble intention Social Islami Bank Library started Dars-ul-Quran (Teachings of Quran) program. This program will cover translation with detail explanation of Quran starting from Sura Fatiha upto Sura Nas gradually. Dars-ul-Quran program takes place every Monday after Magrib prayer. Other than this Social Islami Bank Library arranges shows of feature films or Documentary films on Islamic life & Culture. Social Islami Bank employees are a large number of employees for performing various jobs. Some of them are newcomers. They need more knowledge and skill for better performance of jobs. They are, therefore, in need of proper training to contribute to the achievement of the organization goals. There are some jobs that require little or no training but many of them need to be performed by adequately training. The use of modern technology has created new jobs in the organization, which required training. Training differs from education. Training is concerned with increase in knowledge, skills and abilities of the employees in doing a particular job. It has a narrow aim limited to increase in knowledge and skill related to a job. Education, on the other hand, broadens the mental facilities and horizon of knowledge. It is concern with enhancing general knowledge and motivating one to understand the total environment. Bank should increase their office space and take more care in interior decoration. Bank should introduce independent ‘Marketing Department’. Some new investment schemes are to be introduced for socio-economic development and welfare of the distressed humanity. Finally the Bank should has the vision to automate its all operations and functionalities and should be committed to achieve the goal to be a lead Bank in the country both in service and in technical aspect and to fulfill the requirements of mass people.